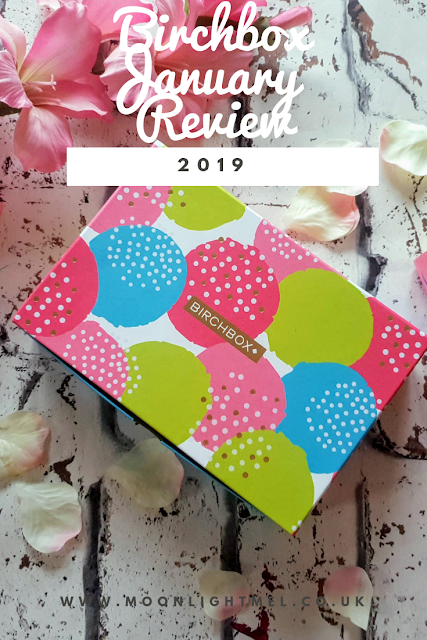 I have only recently subscribed to the Birchbox subscription box and since I was impressed with last months December Birchbox, I thought why the heck don't you treat yourself to another? I am so glad I did too as I just love the design/theme and what's inside is just as impressive. 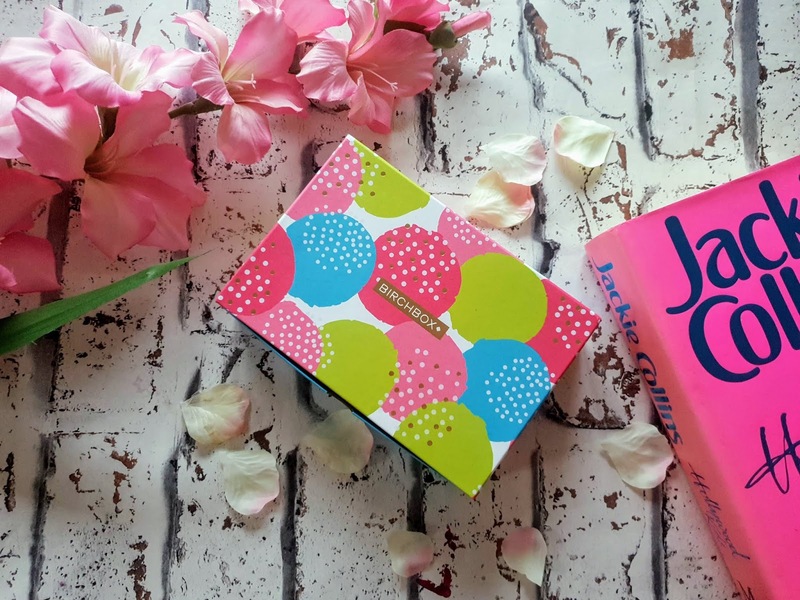 This months theme is 'Shake your Pom Poms' and the box itself has vibrant circles on it which actually look like pom poms. The month's box has been designed to make even the gloomiest of days feel more vibrant. 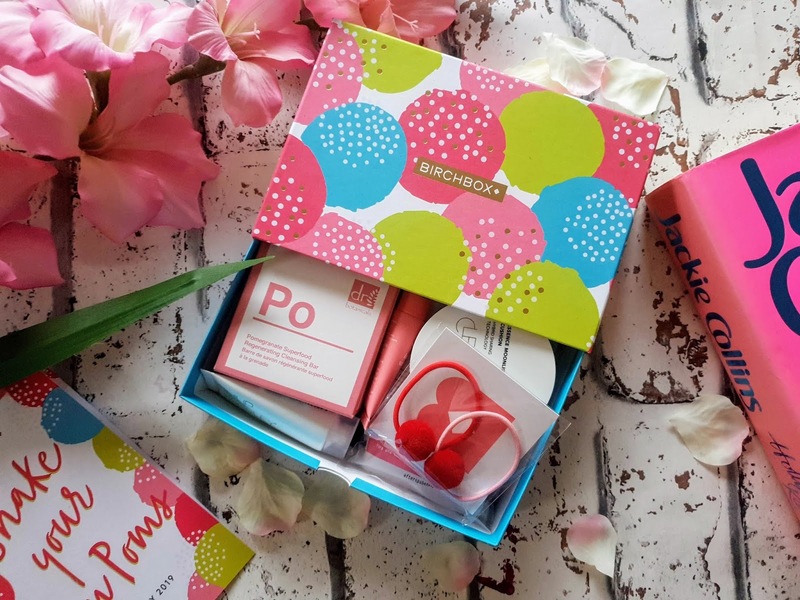 This months box has an extra treat inside so instead of 5, you get 6 amazing goodies inside the box. The box costs £10 plus P&P and can be a rolling subscription or save money by buying every 3,6 or yearly. Infused with luminescent pearl powder in a sponge. You can either apply with the applicator sponge that's included or you can apply with your fingers. It has a cooling sensation when applied to the skin and it can be used on your cheekbones, brow bones or down your nose, wherever really! I was sent the pomegranate superfood cleansing bar and the first thing I noticed was its lovely pomegranate smell, it has a lovely fresh juicy scent. This bar is formulated with 98% natural so its safe to use on face and body. I am excited to try out this soap. Now as much as I love haircare in subscription boxes I really wish they could send out a sample of the conditioner too because for me I like using brands as a duo rather than different ones. Anyways This shampoo is for giving the scalp some TLC and also to help hair get stronger and shiny. I haven't tried it as yet but it has a lovely fresh smell. This works perfectly with a cleanser! I use this on the evening to remove my makeup with my soap and glory deep cleansing milk! It helps removes dirt, oil and impurities, all you have to do when your done is to rinse and dry for next time. A clay mask that's has a 4 in 1 formula. The formula detoxes invigorate, refines and brightens the skin. The clay itself is pink and contains soothing aloe vera and pomegranate which tightens pores and also brill for making the skin radiant. I have yet to try it but I hope they are enough because the sample size is rather small. A nice little extra! I am sure my girls will love these. I think this months box was so much better than last months box! 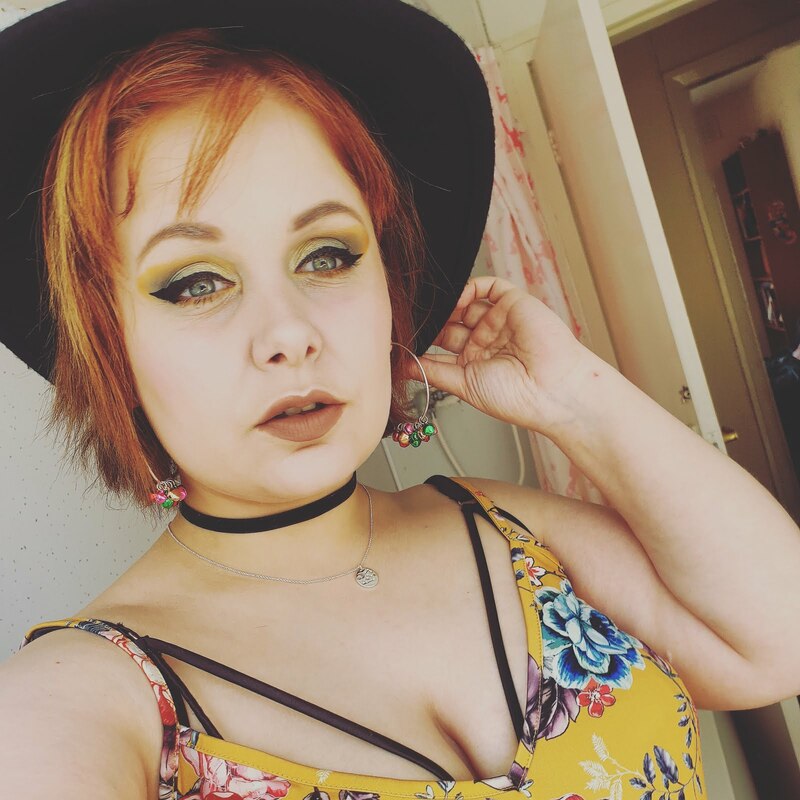 They are more full-size products and the fact the samples are a good size makes a huge difference too. I am most excited about the Cle Cosmetics essence moonlighter cushion in apricot tinge, as I have never tried a sponge based highlighter before. Not only that I do think the compact itself looks amazing too. I am not disappointed in anything in the box this month ( phew ) I am glad I will happily trying everything. 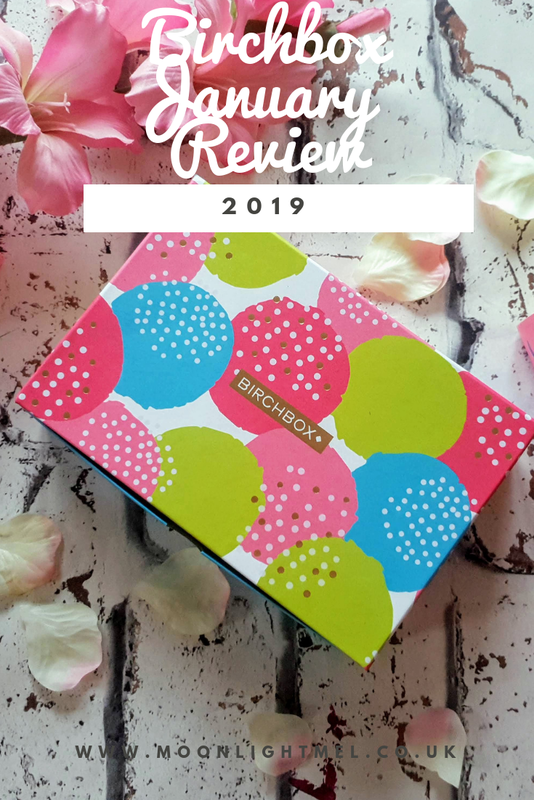 Have you got this month Birchbox? What are your thoughts on this months box?